The culture of the Holocaust is destroying Germany. Endlessly reinforced over decades by the intellectual and media elite, the notion that Germans and their descendants are responsible for “the single most evil event in human history” has had such a demoralizing effect that millions fully support Angela Merkel’s current attempt to destroy the ethnic basis of their nation. The culture of the Holocaust has been used to devastating effect right throughout the West to stifle opposition to the Jewish diaspora strategies of mass non-White immigration and multiculturalism. “The Holocaust” is the absolute lynchpin of the White displacement agenda, with any hint of European racial or ethnic identification or solidarity being instantly linked with Auschwitz and its alleged horrors in the minds of millions (probably billions) of people. The Jewish director Jill Soloway observed that Jews in Hollywood are “recreating culture to defend ourselves post-Holocaust.” This ethnic “defense” has entailed the intensive promotion of racial diversity and mixing, the denigration of White people and their traditional culture, the hyper-sexualization of what now passes for Western culture, the glamorizing of sexual non-conformity and the breakdown of traditional gender roles — all alongside constant reminders of “the Holocaust” with its concomitant themes of noble Jewish victimhood and unsurpassed German (White, European) evil. While the Jewish critique of racialist thought, spearheaded by Franz Boas, preceded World War II by several decades, it gained urgency following Hitler’s assumption of power in 1933. In his book Racism, posthumously published in 1938, the Jewish “sexologist” Magnus Hirschfeld set out to provide a refutation of the racial doctrines of the National Socialists. “If it were practicable,” he wrote, “we should certainly do well to eradicate the term ‘race’ as far as subdivisions of the human species are concerned.”[vii] During the war the writings of Boas, his students Ruth Benedict, Melville Herskovits and others critical of the link between race, culture and ability began to reach a mass audience. Benedict’s Races and Racism, published in 1942, dismissed racial thought as “a travesty of scientific knowledge.”[viii] In the same year, the Jewish intellectual Ashley Montagu (born Israel Ehrenberg) published Man’s Most Dangerous Myth: The Fallacy of Race which became a best seller. The Montagu-led UNESCO panel’s statement (replete with falsehoods and specious arguments) was issued in 1950. “Scientists,” it claimed, “have reached general agreement in recognizing that mankind is one: that all men belong to the same species, Homo sapiens.” Genes responsible for the “hereditary differences between men” were “always few when compared to the whole genetic constitution of man and the vast number of genes common to all human beings regardless of the populations to which they belong.” It therefore followed that “the likenesses among men are far greater than their differences.” The error here is assuming that small differences in the input to a system must yield small differences in the system’s output. On the contrary, it is often the case that small differences in the input result in large differences in the final outcome. For instance, it has often been pointed out that human beings and chimpanzees differ in less than two percent of their DNA; nevertheless, the difference in intelligence between the species is enormous. Many genetic diseases are caused by a single gene, and some of these are deadly. The UNESCO panel’s statement proposed that it would be best “to drop the term ‘race’ altogether,” since “for all practical purposes, ‘race’ is not so much a biological phenomenon as a social myth.” Montagu and his colleagues ended their “definitive statement on race” with a ringing endorsement of the idea of a common humanity: “Biological studies lend support to the ethic of universal brotherhood; for man is born with drives towards co-operation. … In this sense, every man is his brother’s keeper.” Here we find the invariable Jewish tendency to couch the pursuit of specific Jewish interests in a pretended universal benevolence. UNESCO’s Montagu-drafted “definitive verdict on race,” was published with a press release with the headline: “No biological justification for race discrimination, say world scientists: Most authoritative statement on the subject.”[xv] The New York Times reported on the statement with a story whose headline proclaimed: “No Scientific Basis for Race Bias Found by World Panel of Experts.”[xvi] The UNESCO Statement on Race amounted to the foisting of a Jewish ethno-political agenda onto the global polity — with devastating consequences for the interests of Europeans. Cannadine notes that, during the decades that followed, the United States, Canada, Australia, and New Zealand “abandoned their policies of racial discrimination, ended their restrictions on immigration … and embraced multiculturalism.” This misleadingly implies that these changes occurred as a result of a shift in popular sentiment, of people suddenly coming to their senses and “embracing” racial diversity. The reality in the U.S., and, as I explicated in my series of essays on Australia, was that the movement toward the liberalization of immigration policies in countries like Australia was a top-down, totally undemocratic movement pursued for specifically Jewish ends. Despite these small concessions to reality, Aly remains firmly within the camp of intellectual apologists for Jews in proposing that “anti-Semitism” is a phenomenon that always has its wellspring in the psychopathology or delusions of non-Jews — in this case in the pathological jealousy of Germans. His exoneration of Jews from any role whatever in contributing to manifestations of “anti-Semitism” is hardly surprising given that Aly’s book has the imprimatur of the leading Jewish representatives of the Holocaust industry. 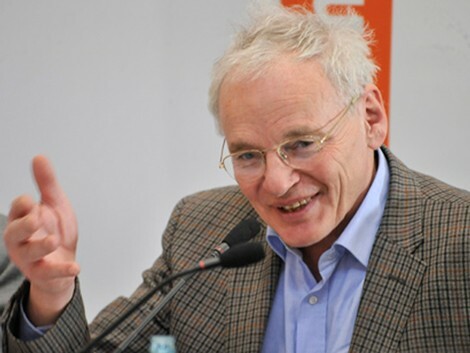 The author, who is a past winner of a Jewish Book Award, notes, for example, how his research was “made a lot easier and a lot more pleasant by my helpful and welcoming colleagues at Yad Vashem” and that his work was underwritten by the Baron Friedrich Carl von Oppenheim Stipend for Research on Racism, Anti-Semitism, and the Holocaust. From the standpoint of an unquestioning acceptance of the dogmatic Hollywood version of “the Holocaust,” Götz Aly asserts that: “What remains contentious are questions of its ultimate meaning and deeper causes,” and argues that “the answers will, no doubt, continue to be fragmentary. Nonetheless, historians have a duty to seek them.” So, according to the author, historians have a moral and intellectual duty to search for the ultimate meaning of “the Holocaust” (provided of course this fully exonerates Jews) but not a duty to determine the actual facts regarding the alleged event itself. So much for the once revered academic tradition of fearlessly seeking out the truth wherever it leads. In the subsequent parts of this review I critically analyze Aly’s “envy” theory of the German “anti-Semitism” which forms the basis of his much praised book. [i] Peter Novick, The Holocaust and Collective Memory (London: Bloomsbury, 2000), 144. [ii] Chaim Bermant, Jews (London; Weidenfeld & Nicholson, 1977), 91. [iv] Eric L. Goldstein, The Price of Whiteness: Jews, Race, and American Identity (New Jersey: Princeton University Press, 2008), 211. [v] Nicholas Kollerstrom, Breaking the Spell: The Holocaust, Myth & Reality (Uckfield: Castle Hill, 2014), 133. [vi] Henry Reynolds, Why Weren’t We Told? — A personal search for the truth about our history (Melbourne: Penguin, 2000), 248-249. [vii] David Cannadine, The Undivided Past: Humanity Beyond Our Differences (New York: Alfred A. Knopf, 2013), 205. [x] Poul Duedahl, “From racial strangers to ethnic minorities, On the socio-political impact of UNESCO, 1945-60.” Paper presented at 7th Annual International Conference on Politics and International Affairs in Athens, Greece, in 2009. [xii] Anthony Q. Hazard, Postwar Anti-Racism: The United States, UNESCO, and “Race,”1945-1968 (New York: Palgrave MacMillan, 2012), 38. [xiii] Cannadine, The Undivided Past, 212. [xiv] Hazard, Postwar Anti-Racism, 39. 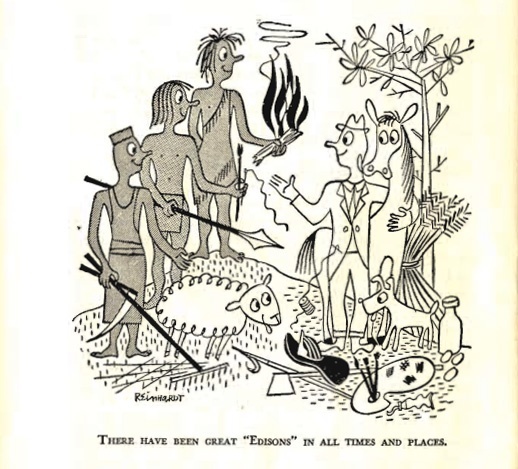 [xvi] Elazar Barkan, The Retreat of Scientific Racism: Changing Concepts of Race in Britain and the United States between the World Wars (Cambridge UK: Cambridge University Press, 1993), 341. [xvii] Robert Wald Sussman, The Myth of Race: The Troubling Persistence of an Unscientific Idea (Cambridge MA: Harvard University Press, 2014), 207. [xviii] Götz Aly, Why the Germans? Why the Jews? 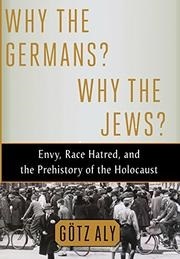 : Envy, Race Hatred, and the Prehistory of the Holocaust (New York: Metropolitan Books, 2014), 2.